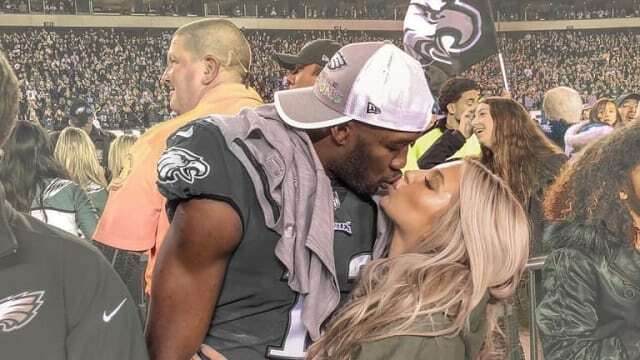 Nelson was born into a sports family, his excellent skill on the field is no surprise to the world as he took a path similar to that of his father, Felix Agholor who played soccer during his stay in Nigeria. His mom, Caroline Agholor supported the family in the little way she could although her occupation is not yet known. 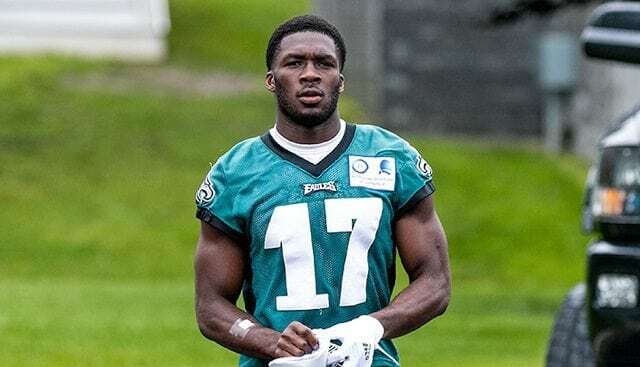 Born as Nelson Efamehule Agholor on May 24, 1993, this chap was raised in Nigeria for five years before moving to the United States of America with his family. As the fourth child of his parent’s five children, Nelson has four siblings – two brothers and two sisters. Records have it that Nelson Agholor’s interest in football could be linked way back to his days at High school where he played as a wide receiver, running back, and defensive back for Berkeley Preparatory School. Having much zeal for the game, he was rated as a five-star recruit by Rivals.com and was also the third-best wide receiver in his class. With so much excellence while in High school, he became one of the most sought players when it was time for college. He got offers from Notre Dame, Oklahoma, Southern California, Florida, Florida State, and Alabama. After much deliberations, he settled for the University of Southern California. As a freshman in USC, he played in 13 games as a back up wide receiver. He recorded 19 receptions for 340 yards and 2 touchdowns. In his second year, he played 14 games and completed with 56 receptions, 918 yards, and six touchdowns. Nelson Agholor then decided to join the 2015 NFL Draft. His dreams of joining the NFL became a reality after he was selected by the Philadelphia Eagles in the first round of the 2015 NFL Draft as the 20th overall pick. He would later seal a pact with the side in a $9.4 million contract, the deal handed Nelson $5.1 million as signing bonus. As a rookie, he played in a total of 13 games wherein he accumulated 283 receiving yards and a single touchdown. By his second season in 2016, he played 15 games, pulling off 365 receiving yards and 2 touchdowns. Nelson became more skilled in the game in 2017, this was made obvious when he helped his team to record a 30-17 win over the Washington Redskins. Among other things, he attained a 58-yard receiving touchdown in the game. When his team clashed with the New England Patriots for Super Bowl LII, Nelson was undoubtedly one of the playmakers in the game. He was able to manage 84 receiving yards which facilitated the Eagles’ 41-33 win over the Patriots and ultimately handed the team their first Super Bowl championship. In view of this, it is not surprising that the Eagles embraced the fifth-year option on Nelson’s contract. This made it possible for the side to retain the wide receiver for the 2019 season. After Nelson was picked by the Eagles, he signed a contract worth $9.4 million. The deal guaranteed $8,52,507 and offered $5.1 million as signing bonus. This wide receiver’s annual salary sits at over $2.3 million and his net worth has been estimated at $24 million. A regular viewer of the television program Wives and girlfriends of professional athletes (WAGs) shown on E! channel wouldn’t doubt us if we conclude that athletes sure have their eyes for beauty and also have the most beautiful set of women as wives and girlfriends. For Nelson, his choice of a partner agrees with our conclusions. He is currently in a jolly relationship with a beauty blogger known as Viviana Volpicelli. Viviana is popularly known as a beauty blogger and an Instagram model. She was born on May 8, 1995, in Los Angeles to her parents – Diane and Anton U. Volpicelli. Her dad is a doctor while her mom works as a Realtor. Viviana attended Palos Verdes High School before moving to the University of Southern California where she graduated with a degree in Real Estate Development. The beauty blogger currently has no use of her certificate but has made a lot of fortune from her blog and website where she posts tips on fashion, makeup, and natural products. Details about the duration of their relationship are not on records but we know that Nelson met Viviana during his days at USC. (0.82 m) and 9 1⁄4 in (0.23 m) hand size. Nelson seems to have shedded a few pounds and now weighs 84 Kg.